Turkish novelist Orhan Pamuk is a prominent voice in Turkish literature, speaking to the country’s history, culture, and politics. In 2006, he became the first Turkish writer to receive the Nobel Prize for Literature. 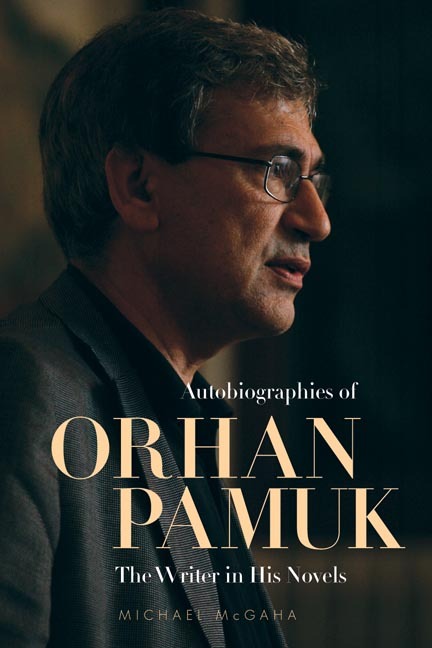 Autobiographies of Orhan Pamuk is the first book-length study of the life and writings of Pamuk. It provides both a historical and cultural context that will help readers better understand and appreciate both the man and his work. It begins with a brief biography, outlines Pamuk’s contributions to Turkish literature and history, examines how his art has evolved over the past thirty years, and discusses some of the writers who provided inspiration. Though his books deal with specifically Turkish issues, like all great literature the themes they explore are universal. In addition to a thorough analysis of his seven published novels, including Snow and My Name is Red, an entire chapter is devoted to his first two novels, Cevdet Bey and Sons and The Silent House, which have yet to be translated into English. This is a comprehensive examination of the Nobel laureate’s work, free of jargon and of interest to anyone who enjoys good literature. Michael McGaha is the Yale B. and Lucille D. Griffith Professor of Modern Languages Emeritus at Pomona College. He has published fourteen previous books, including Coat of Many Cultures: The Story of Joseph in Spanish Literature, 1200–1492.